With sunshine all year around and an endless amount of sandy beaches to pick at, Lanzarote is simply heaven for holidaymakers (especially those who love to sunbathe!). Boasting amazing volcanic mountains, lava tunnels and craters, this Canary Island is the perfect destination for exploring and trekking with friends and family. 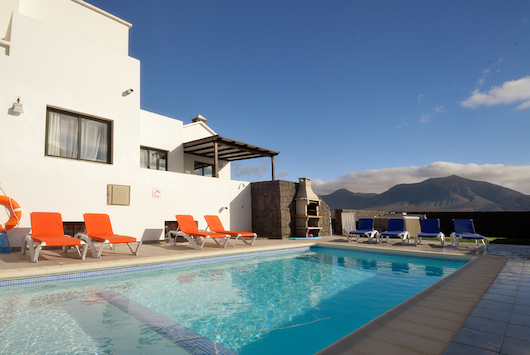 Plus our villas in Lanzarote are the ideal base to discover such an adventurous place. Whether you’re seeking a secluded villa for a relaxing holiday, endless sea views or a relaxing swim in your own private pool, whatever your perfect getaway may be - a holiday with Panoramic Villas in Lanzarote has something for everyone. A modern 5 bedroom villa with air conditioning in all bedrooms. WiFi, private heated pool, BBQ and contemporary furnishings. Located between the marina and the harbour in Playa Blanca, 15 minutes' walk from the beach. New Hot Tub and Table Tennis. Sleeps 4. Modern 2 bedroom, 1 bathroom villa, WiFi, private heated pool, private garden and BBQ. Located just 10 mins from Puerto del Carmen a lively seaside resort and Puerto Calero the stylish marina. Sleeps 6. The villa’s stylish bedrooms deliver everything you need for restful nights sleep. There are 2 kingsize bedrooms and 1 twin . Private heated Pool. This villa gets the sun all day. Located in Playa Blanca, and only a 5 min drive to the Marina Rubicon. This villa has a spacious terrace, heated pool, inside the villa is a modern, has satellite TV, a DVD, and internet access (on request). It offers bed and second bedroom with two single beds. Fully equipped kitchen and comfortable. Sleeps 4. 2 bedroom 2 bathroom villa, located in Playa blanca beautifully decorated with natural light filled rooms. The stunning outdoor space features gorgeous tropical surroundings. Soak up the sun in the private pool garden. SUPERB VILLA. Sleeps 6. 3 bedroom 2 bathroom. High walls for total privacy, fantastic views of the mountains. This villa also offers a sumptuous hot tub, outdoor pool table, darts board, air conditioning , Wi-Fi, a smart TV with satellite. Walk to the Town and Beach. Located in Playa Blanca, Only a 2 min walk to the promenade, you can sail, dive, snorkel, jet ski and visit the water park, also great for cyclists and for walkers. The villa has modern interior, a lush hot tub, heated pool, pool table and BBQ. FANTASTIC SEA VIEWS. Private Large Villa, heated pool, close to Playa Dorada beach, 10 min walk to supermarket, 20 min walk to beach. Hot tub, pool table, table football, 6 bedrooms, 5 bathrooms. Air con in all bedrooms. Fast Optic Fibre internet. Great for a special celebration. 5 bedroom, 3 bathroom, beautifully furnished, south facing villa, Very private, heated pool with shallow end for children. Equipped with a Jacuzzi, BBQ, Pool Table and Table Tennis. Offering stunning mountain views. New Fast internet and Air Con in all Bedrooms. A 3 bedroom villa, with private heated pool and air conditioning, Located in a quiet area with magnificent natural monument of Los Ajaches and 600m from Las Coloradas beach and boardwalk. 1500m away from the Marina Rubicon and the beaches of Papagayo. A wonderful 3 bedroom duplex with heated private pool & terrace area. The Villa is located just meters from the sandy beach of Playa Blanca and all its restaurants and cafes. The villa offers a master bedroom with a terrace and stunning sea views. A superb 2 bedroom property with private heated pool. Guests can enjoy a fully air conditioned home, internet access, satellite TV and BBQ. Playa Blanca is just a few minutes away with its marinas, shops and restaurants. This great vila has been designed and furnished in a contemporary style. It has a private heated pool, satellite TV and internet access. It is just 5 minutes from the centre of Playa Blanca with restaurants, shops and beaches. A stylish 2 bedroom villa with fully equipped kitchen, spacious living area and a private garden with heated pool. Ideally located just a few minutes from cosmopolitan Playa Blanca with bars and restaurants. Puerto del Carmen is the liveliest of the 3 resorts with a 2 mile strip of bars and nightclubs that stay open pretty much 24 hours a day. If you want to escape this the old town is centred around a lovely harbour and there are some fantastic tapas bars to try out. Costa Teguise is far more laid back and has 3 great stretches of beach, Los Charcos is the biggest and its white sands get busy in summertime. Costa Teguise also has a great 18 hole golf course for golf enthusiasts. 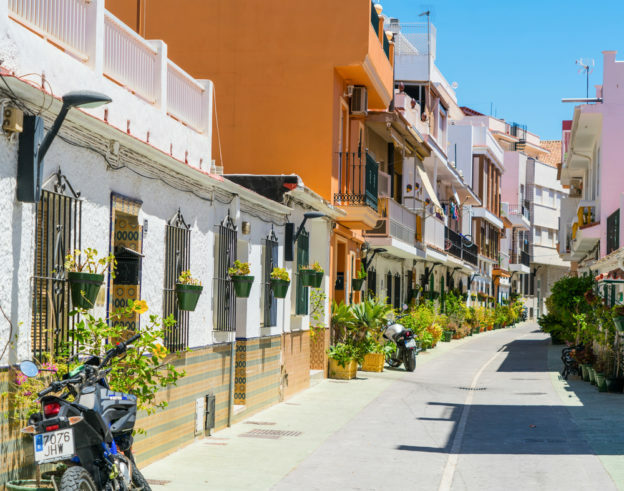 Playa Blanca is arguably the most upmarket of the large resorts with the fantastic Marina Rubicon, promenade, waterside restaurants and plenty of shops. View our selection of villas to rent in Playa Blanca. Wherever you decide to stay in Lanzarote you are guaranteed great beaches, lots of sunshine and plenty of choices for food, drink and shopping - something for everyone to discover. Lanzarote began to rise from the sea, during a huge volcanic eruption, some 15 million years ago and is the second oldest islands in the Canaries, Fuerteventura taking top spot. It was first inhabited around 1000 BC by a tribe known as Majos. Unfortunately they struggled to survive on an islands that lacked resources and by the time the Europeans arrived, Majos had barely progressed beyond the Stone Age. In 1402, Lanzarote was claimed by Juan de Bethencourt which marked the beginning of the Spanish conquest. Despite Spanish claims to the island, both French and Moroccan pirates, as well as British buccaneers, continued to raid Lanzarote. Life on the island for the aborigines became harder than ever and got much worse in 1730 when it experienced one of the longest volcanic eruptions on record. For six long years, Timanfaya sputtered ash and lava, which blocked out all sunlight and destroyed almost a quarter of the island. Thankfully, life in Lanzarote improved drastically after the eruption, which left behind a thick layer of rich and fertile soil, a god send for local farmers, who made there money through crops such as sugar cane, tobacco and cereal. By the 1970s, Lanzarote's agricultural industry fell into decline; plantations were shut down and production therefore moved elsewhere. Luckily, the island's growing tourism industry was able to pick up the pieces thanks to a huge boom in commercial air travel and therefore the doors to mass tourism had opened swiftly and Lanzarote has never looked back since. With so much to offer, you’ll find a number of exciting things to see and activities to do from the moment you land in Lanzarote. 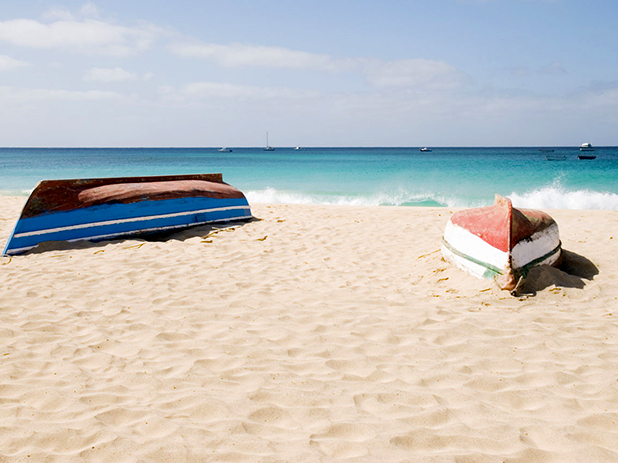 This amazing Canary Island offers excursions left, right and centre on the sea and its shores. For those of you who are visiting to take part in watersports, you can cruise along the waves on jet skis and inflatables whilst admiring the spectacular views in the distance. Perhaps you prefer a more laid back approach to your holiday? That's fine, there’s plenty for you too. A number of relaxing fishing trips and dolphin watching tours are at your disposal, ideal for those after something more relaxing. Looking for activities for children can sometimes be a pain, look no further than Aquapark Costa Teguise. This fun-packed water park features everything from slides, rapids and whirlpools – everything for a fun day out with the kids! Another desired place to visit from your Lanzarote villa is the Rancho Texas Lanzarote Park. Here you’ll find magnificent birds of prey, reptiles and mammals to feast your eyes on as well as pony rides, a splash pool and interaction with sea lions and dolphins. Now it's adult time. For those of you reading who are into golf, a villa in Lanzarote is just the place to be spending your next adventure. Spend the day golfing at Lanzarote Golf in Puerto del Carmen or Costa Teguise Golf, soaking up the blissful sunshine as you go (with a drink or two in between, strictly soft of course). Montañas del Fuego - experience a BBQ with a difference. Forget your charcoal and firelighters, your food will be cooked by the natural heat of the volcano. Fundación César Manrique - art gallery housing works by Picasso, Miró and many other talents. Cueva de los Verdes - a unique mythological-looking lava cave, full of legends, wonderful landscape and surrounding beauty. Teguise - take a trip to the old capital and wander through the extensive local market which is held each Sunday morning. Playa de Papagayo - situatedat the southern tip of the island, Playa de Papagayo is one of the most wonderful beaches found in the Los Ajaches Natural Park. For many tourists, it's the pick of the bunch. Playa de las Cucharas - conditions here are so perfect for windsurfing, even international contests often make their way to this part of Costa Teguise. There's also plenty of calm waters here too, perfect if you're learning the basics and developing your technique. Playa Quemada - this stretch of coastline is a must for those that love something out of the ordinary. You'll find few facilities and activities here to take part in, but that's part of the charm. Playa Quemada translates to "burnt beach" which might make you slightly sceptical, but fear not. It's the black volcanic sand that has given it it's name. Playa del Reducto - Golden sands that shimmer under the sparkling sun, inviting seas that shine just as brightly – the Canary Islands is putting all to shame. The promenade winds it way along this gorgeous stretch and is even lined with palm trees. Take it all in with a nice stroll through the palms and when your legs begin to tire, take a seat at a beachside bar or cafe. Playa de las Conchas - less than 30 minutes from Lanzarote's shores, it has been regarded as the desert islands of your dreams. Stunning shores draw thousands of visitors here each year, with Playa de las Conchas standing head and shoulders above the rest. Whether you're after a beautiful villa just minutes from the beach, unforgettable sea views, a private heated pool or a quiet area where you can truly relax, our wide range of Lanzarote villas guarantees something for everyone. Want to learn more about Lanzarote? 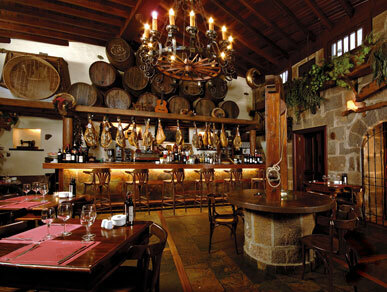 You can visit our detailed guide on the area, where to eat and what to do.